It may sound hard to believe but the Pagani Huayra is nearing the end of its lifecycle. Having debuted back in 2012, Pagani’s follow up to the iconic Zonda has been a resounding success but all good things must come to an end. Only in Pagani’s case, Huayra production will end in order to make way for yet another V12-powered hypercar. As we previously learned, . Horacio Pagani told us at Geneva this week he’s targeting 2024 for that debut. 2025 at the latest. But before either of those two new hypercars arrive, there’ll be one last Huayra variant and Mr. Pagani told us what it’ll be and where it’ll debut. The will arrive this July at Pebble Beach. We’re already familiar with the Huayra BC coupe, named in honor of Benny Caiola, a very close friend of Mr. Pagani who was also his first customer. "Before the Huayra is finished, we will show the Huayra BC Roadster this summer. I can’t go into full details just yet but I’m very excited about it,” Mr. Pagani said. While those official details remain under wraps, we already have a pretty good idea as to what to expect based on the Huayra BC coupe and the Huayra Roadster. Remember, the BC coupe, in many ways, served as a development testbed for the Roadster. The BC coupe produces 745 hp and 811 lb-ft of torque while the Roadster offers 754 hp and 738 lb-ft. Expect for the BC Roadster to be more powerful than both. The AMG-built twin-turbo V12, paired to a seven-speed automatic transmission, will obviously return. Along with the expected power boost, the hypercar will feature a number of aerodynamic and structural improvements as well. Only 100 examples of the Roadster will exist while just 20 Huayra BC coupe’s were made, so don’t expect more than 20 BC Roadsters, possibly even less. 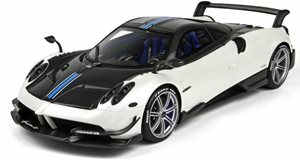 Did anyone really think Pagani would be satisfied with slicing off the Huayra BC coupe’s roof and calling it a day? No way. 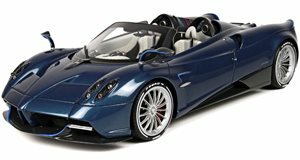 The Pagani Huayra BC Roadster, the final Huayra variant, will be nothing less than extraordinary. And it’s only four months away.